Crisis brewing in the Imo State House of assembly may have escalated following the Assembly’s endorsement of Governor Rochas Okorocha’s son-in-law, Uche Nwosu, as a governorship aspirant in 2019. Nwosu is currently the Chief of Staff in the Government House. 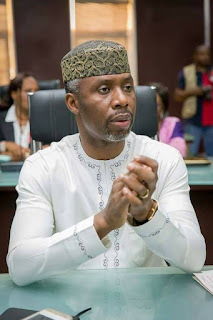 Ezediaro, who spoke at a press conference in Owerri, the state capital, on Saturday, said the decision to endorse Nwosu was reached after the majority of the state’s lawmakers declared him the best to run for the position. The lawmaker denied there is a crisis in the House. “The house is not in a crisis, we just disagreed on some issues,” Ezediaro added.